Monterey added the FSX package to its 184FS and came up with a fresh take on an existing model. 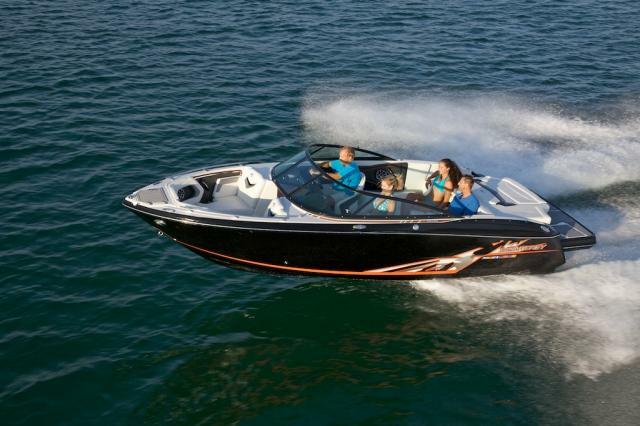 Clearly, when Monterey introduced the 2012 184FS, they knew an old adage in the boat business: nothing sells like new. And wouldn't it be nice if manufacturers could offer something genuinely new each model year? The reality is they can’t. Tooling costs are significant and the manpower often has to be borrowed from production, which is the side of the business that keeps the lights on. This jazzy little 18-footer has more room inside than you'd think - and it gets jazzier yet, with the FSX package. 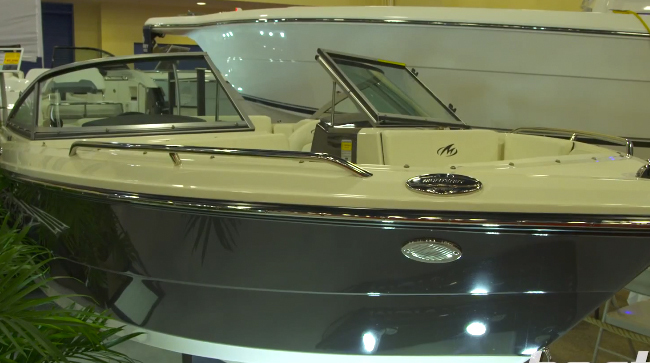 At the Miami Boat Show we caught up with Martin Rusin, marketing manager for Monterey Boats. Monterey had some big hits in the recent past, such as the M5, and is currently developing some new models that will debut next year, but for 2012, what’s “new” is that their FSX package is now more widely available. 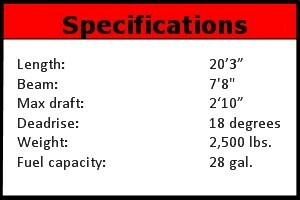 The FSX package includes more stainless-steel, several color options, and a Sea Deck swim platform liner. The 184FS is the smallest hull Monterey makes, but it has all the style of the company’s larger models and the FSX really adds to its appeal. The FSX package includes stainless steel grab handles, pull up cleats, and docking lights; an onyx swim platform; and your choice of brown or gray Sea Deck, a soft composite deckliner material that protects the swim platform from ski fins and the like. It also stays cooler than teak, and requires no maintenance. The 184’s interior space belies its compact dimensions. 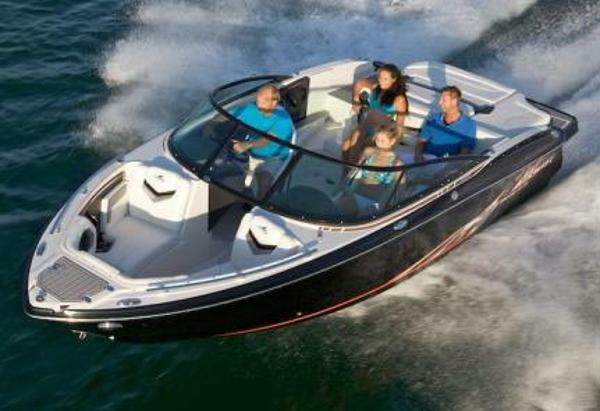 With twin swivel buckets that adjust fore and aft and feature flip-up thigh bolsters, and individual jump seats to either side of the engine box, this boat offers more sole space than you would expect to find in an 18-footer. The spaciousness of the rear sun pad suffers as a result, but the trade-off seems worth it. 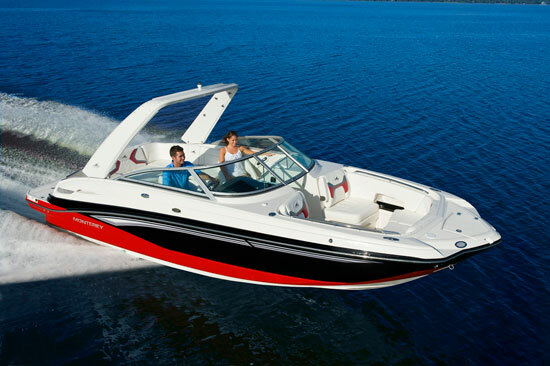 Under the engine hatch, buyers can get the standard 135 hp MerCruiser four cylinder, which we’re glad to report is smoother and more refined than it was when it was carbureted. 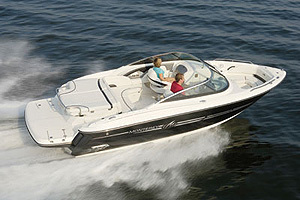 Optional engines include the 220 hp 4.3-liter MerCruiser or the 225 hp 4.3-liter from Volvo-Penta. 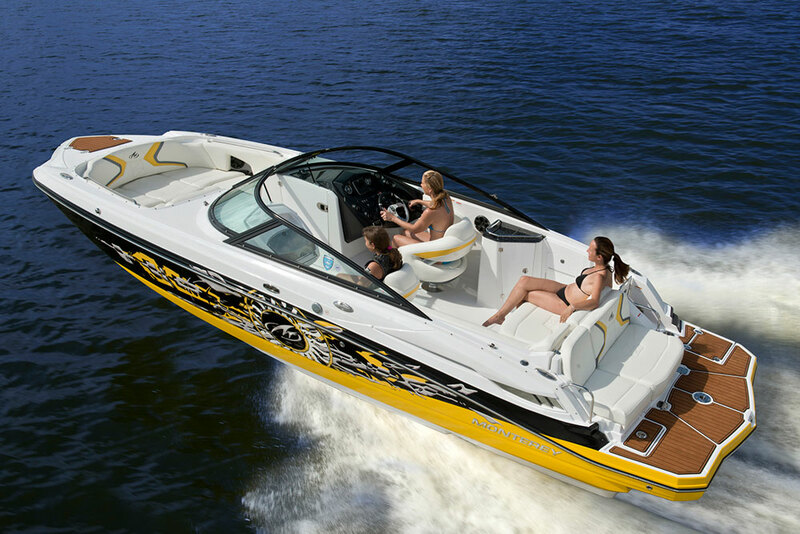 The standard engine should be ample to push the 2,500 pound boat, but the optional engines will make it a lot more fun to drive. The optional Bimini top, which we think should be included in the FSX package, will be accommodating on hot sunny days. Though Monterey hasn’t unveiled any new models for 2012, the inclusion of the FSX package into its smaller models, particularly its smallest model, is pretty exciting. Base price for the Monterey 184FSX is $31,357, which includes a 3.0-liter MerCruiser four cylinder and Alpha One drive, but no trailer. 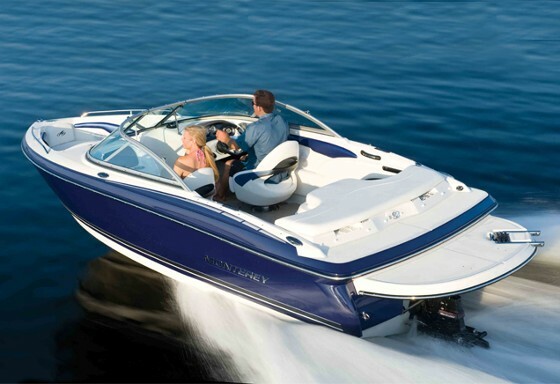 For more information, visit Monterey Boats.